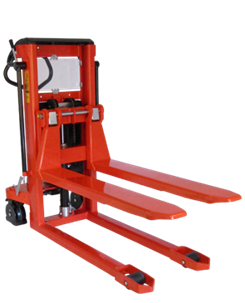 High flexibility and efficiency – the fully powered TP MAXI and TS MAXI can transport, handle and lift different goods. The design puts focus on the safety and ergonomic working conditions of the user – TP MAXI and TS MAXI can be adjusted to the individual user, and the ergonomic correct handle ensures the user a relaxed hold. No damage to surroundings, pallets and goods. TP MAXI and TS MAXI have an elegant design with rounded corners.